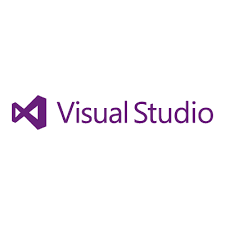 Already I have discussed about Visual Studio 2012 here.Now I am going to expalin what are new features available in Visual Studio 2012. The main features such as IDE improvements, Unit Testing, Intellitrace, MTM, Performance improvements, Search everywhere using Ctrl+E, Improvements while debugging, New Testing tools etc. 2. Extensions for Powershell developmet. 3. Tools for Code and Architecture Reviews. 5. ability to find strings using regular expression syntax from the .NET Framework. 8. Managing the backlog, sprints, and tasks using agile tools. 9. TFS 2012 along with offline workspaces and web access for managing the projects. 14. IntelliTrace for Testers: Here Testers reports bugs to the developers with an .iTrace file then the work item is created and then Developers double click and open the .iTrace file. this file lists the error along with the complete call stack. 15. Better Debugging Tools such as Page Inspector which is Client-side, Glimpse which is server-side. Page Inspector shows you the HTML output and allows you to select DOM elements. We can also launch the webpage in Internet Explorer, Firefox, Chrome and other browsers. 16.HTML and CSS: HTML 5 Validation, Better Intellisense, Colour Picker. 17.Good performance while Opening the toolbox, Adding References, Loading the solution, Opening the Winforms Designer/WebForms Designer and WPF/XAML. 26.Generate C# code from UML class diagrams. Create UML class diagrams from the existing c# code.